News of 2017 all Japan rally championship | Sankei Industry Co.,Ltd. Thank you for supporting 555 brand all the time. And also your great effort for sales promotion is highly appreciated. at The 4th race Wakasa rally 2017 in 19th – 21st, May which was heart’s desire first winning. 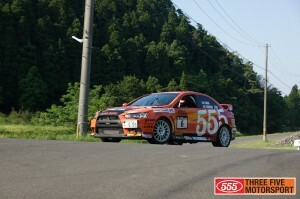 It was big title with tearing since driver Osamu Fukunag participated rally for 20 years. He won the close finish in competition with former champion drivers, WRC participators. The next race “5th Monterey 2017 in Tsumagoi” will be held in 8th to 11th June 2017 in Gunma and Nagano pref. 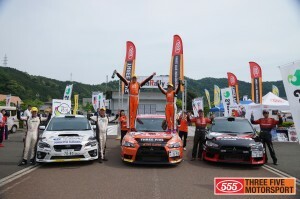 Please keep supporting 555 products and cheering up “THREE FIVE MOTORSPORTS”. Thank you. More movies are available in Japanese page.